Her third and last Season! No husband in sight! In danger of being thought of as 'on the shelf', Charlotte Munro finds herself facing the daunting prospect of landing a husband. With her younger sister having married the year before, it's a very real danger. Charlotte sets her sights on handsome Arthur Howe, Viscount of Bromwell. He's recently made it known that he's ready to choose a wife. Although he has a reputation as a bit of a rake, Charlotte thinks the rumours must be highly exaggerated. Patrick Fitzroy has just returned from his time as an officer on the Peninsula. After a brief stop in London, he's ready to relax and join his friend Joseph Wilmington in the countryside. A house party is held soon after his arrival. He's surprised to see Charlotte Munro, Joseph's younger cousin, who he realizes has grown up to be a beautiful young woman. 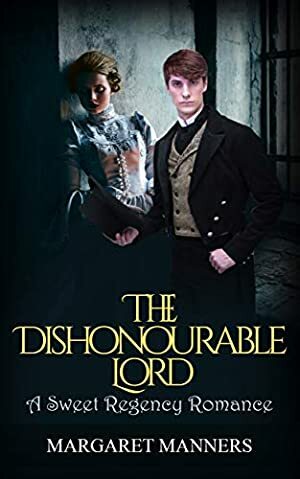 Charlotte is able to capture the attention of Lord Bromwell but after some time wonders if he really is the boon she had once thought him to be. She keeps finding herself drawn to Patrick Fitzroy who seems much more interesting than the high-in-the-instep Lord Bromwell. If only Patrick saw her as more than his friend's young cousin. Log In to track Margaret Manners on eReaderIQ. to be notified each time the price drops on any book by Margaret Manners. to stop tracking Margaret Manners. We started tracking this book on January 20, 2019. The price of this book has changed 2 times in the past 93 days. The highest price to date was $0.99 last reached on February 26, 2019.